This episode of Enterprise Radio is working in conjunction with eAustralia (Australian entrepreneurs and business owners). Tell us a little bit about your background – how you got into finance and what led you to set up Zippy Financial Group? Can you describe your first year in business? What were the challenges and how did you approach the market? You have gained a reputation for innovation and doing things differently – can you share some of your initiatives with us? 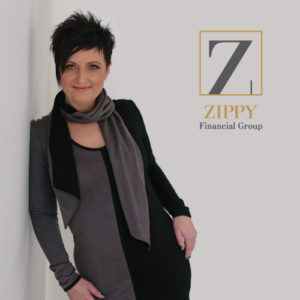 What does the future hold for Zippy Financial Group – what is your vision for the company? You started your company in quite a crowded market, yet you have thrived in a relatively short period of time. What advice would you give to anyone starting a new business today in the finance sector? Having an extensive experience at a senior level for major banks has provided Louisa with a unique perspective in the financial sector. Much more than an average mortgage broker, Louisa is more like an expert friend who can guide her clients through the complex maze of advice towards a better financial outcome. Her experience in banking and finance is vast, spanning Personal finance, Premium and Private financial services, Business Banking and Asset finance. This depth of experience allows her to clearly understand the multi-layered complexities of the right finance; a skill that many financial brokers do not possess. Since starting out on her own in 2013, she has helped hundreds of families and businesses secure finance to help them realise their personal and professional goals. She aims for her clients to feel empowered and well cared for, both during and beyond the loan process. She is a great negotiator, with her major goal being to secure the best possible rates for her clients. Her success is measured by her continual flow of referrals from other finance professionals and past clients; a testament to her levels of professionalism and her clients’ satisfaction while offering transparency in an often complex industry. She is honest, professional and has great integrity, and this underpins all her business dealings. Louisa shows that major financial decisions can be fun, energizing and empowering. Having build a referral network early on in her business development, and seeing the power of reciprocal referral business inspired Louisa to create her own networking organisation, Connect for Success – a FREE resource for Sydney’s North Shore business owners to connect, develop and thrive. The initial success of Zippy Financial came through Louisa’s involvement with some amazing local mum’s groups, such as North Shore Mums and Mum CFOs and continued to grow through Connect for Success, which inspired me to acquire an established business called Northern Beaches Mums. A website and Facebook group with a customer base of over 17000 local mums. Zippy Financial is one of the fastest-growing brokers on The North Shore, for the simple reason that they sincerely believe in unwaveringly doing the right thing for their clients. Zippy delivers a fast, honest and reliable service with infinite care and attention. Zippy Finance was founded by Principal Broker, Louisa Sanghera, who brings over 30 years of finance industry experience to the business. Louisa has hand picked a trusted and highly skilled team of mobile brokers, desk brokers, and administrative staff to ensure every client receives the very best service and support. Growing Zippy Financial in line with their customers’ requirements. Zippy may have started life as a mortgage broking company, but has quickly expanded to include, vehicle and asset finance, commercial lending, personal budgeting and cashflow management, investment property sourcing, and general insurance. Once the Zippy team had earned the trust of their clients, they began asking Louisa if she could offer them additional services and the brand has grown organically from there. Zippy Financial negotiates with lenders and insurers on their clients’ behalf to get them the best possible interest rate and structure for their loans and policies. Zippy Financial is completely independent, which means they are not limited to a restricted group of lenders and has panels of over 35 residential lenders, 17 commercial lenders, 22 asset finance lenders and over 150 insurers, to ensure they can offer the most competitive rates and loan/policy structures available, presenting clients with a well-considered selection of products to meet their particular needs. The team at Zippy Financial is passionate about providing exceptional levels of attention to detail and customer service. Evening and weekend appointments always available suit clients’ individual needs. Personal brokers guide clients expertly through the whole process form start to finish, from completion of paperwork and managing loan applications through to final settlement and beyond. From there, the team keep a watchful eye on all mortgages for their lifetime, making sure clients are always on the best rates available to avoid them paying a penny more than they have to. Zippy flexes and grows with its customers to adapt loan structures to suit their changing needs.